MAKE NEW EYE MAKEUP LOOKS EFFORTLESS WITH THE EYE MAKEUP TUTORIAL APP! After all, I knew that I could be missing out on the great tips, tricks, and products that others had to share- in addition to all the other fantastic possibilities out there! I dabbled here and there in a couple of apps to get myself started and I was hooked! Now my smartphone for example, is chalked full of all kinds of beauty and skincare apps and I don't think I'd have it any other way! EYE MAKEUP TUTORIAL BY ITsamc inc. I love being able to find a good quality app that's not only helpful, but also FREE. This one takes both of those right from the start and shows that you don't have to pay any cash to score an excellent app! ITsamc created this app and they're an app developer into making other beauty apps as well. This one particularly stood out to me due to the great pictures taken, with true step-by-step guides on how to achieve the look. I hope that they add more to it in the future, as it's DEF worth some of the apps that I have come across that were paid :0 I'd be willing to be a long-standing user of the app if they continue to grow their database. I've had a chance to give some of the looks a try myself, and they were a LOT easier to achieve when I had a decent pictorial guide to glance at. I'd recommend this one to ANYONE to give a try- especially at costing nothing, it's not a bad deal! 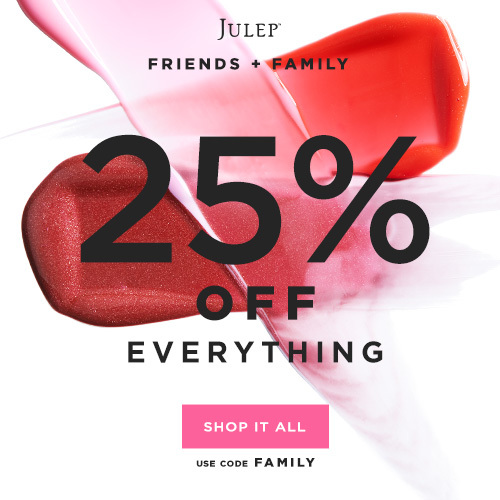 Mavens get benefits all month long at Julep - like 20% off, free shipping, early access to secret sales and more - imagine what you can save on your beauty shopping! looking for more beauty tips and product reviews? CONGRATS TO ALL THE 10 WINNERS OF THE BEAUTY CLOSET'S BiC Simply Soleil Click GIVEAWAY! SPECIAL ANNOUNCEMENT: THE BEAUTY CLOSET'S END-OF-SUMMER AZURE NATURALS PRIZE PACK WINNER!